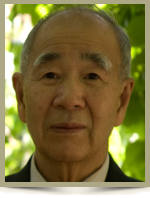 Danielson – Yee M. Cheng, 83, of Waterman St., passed away Tuesday, August 31, 2010, in Regency Heights of Danielson. He was the loving husband of Ngor Y. (Lau) Cheng. Born in Fuzhou, China, he was the son of the late Mui Ng Cheng. Mr. Cheng immigrated to America in 1978 and in partnership with his family founded the Jade Garden Restaurants of Danielson and Putnam. In addition to his wife, Yee is survived by his sons, William “Bill” Cheng and his wife Sarah of Danielson, and Sam Cheng and his wife Sau Ching of Brooklyn; his daughter Amy Siow and her husband Dennis of Silver Springs MD, and Mui Wah Chan and her husband Zee Huang of Long Island, NY; his sister, Ying Chu of China; and his grandchildren, Kathy Cheng, Jason G. Cheng, Kyle Cheng and Jaden Cheng. We were sorry to hear that Bill’s dad died. It is always difficult to lose someone you love and losing a parent is especially difficult no matter the age. We hope that memories of all the good times you shared will be comforting. We send you hugs from Seattle.